In terms of fish alone, Sushi of Gari is the best sushi on the Upper East Side. You know why Sushi Seki is so good? Because the guy who started it learned from Gari himself, Masatoshi “Gari” Sugio. 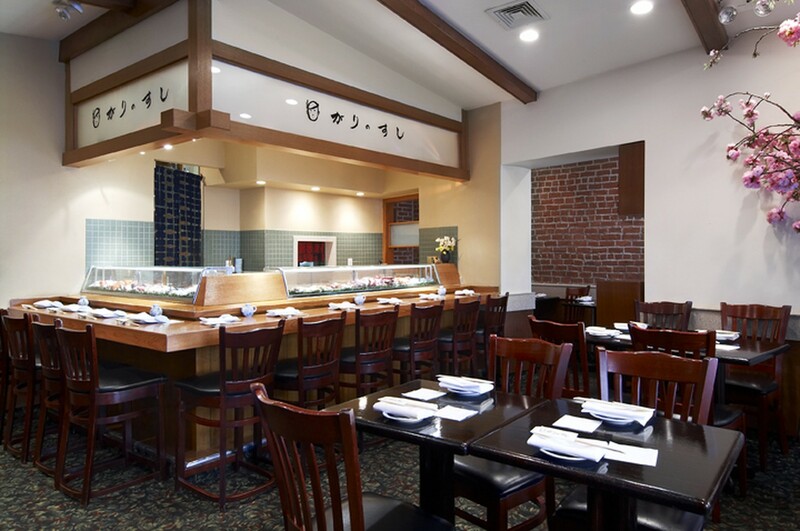 Sushi of Gari's flagship location and headquarters on 78th Street is a small space. Good luck scoring a table during prime time. A seat at the bar is actually a better option - that way you can get one on one interaction with the Japanese Chuck Bass lookalike sushi chef. Seriously - we wouldn't mention if it wasn't so disturbingly uncanny. Name dropping Gossip Girl characters is not something we're proud of. At any rate, Japanese Chuck Bass is a talented guy, and just like everyone else that works at Gari, he's super friendly. Not only is the sushi incredible, but the service here is amazing as well. We have a rather eccentric friend who's not only obsessed with Gari's sushi, but has quite an affinity for their toilet. Because I'm beyond uncomfortable writing about a bidet, I'm going to pull a direct quote from an email she sent me last week after returning from a meal at Gari in which she strategically planned out four trips to the bathroom. "Can I please tell you how amazing the toilet at Sushi of Gari on 78th street is? It's AAAAAMAZING. It's a TOTO model that has full bidet options for men and women with front and rear cleaning as well as different settings for pulsating or oscillating streams. The seat is heated and has arm rests with other control settings that I don’t even understand. I purposely drink a lot the day I know I am going to Gari and don’t pee before I leave to go there so I can optimize the amount of times I can use the toilet while I am there. I know, I'm crazy. But, this is by far and away my favorite toilet in NYC." Wow. So yeah, ladies, make sure you take advantage of those oscillating streams. One of Gari's signature apps. If you dig tempura, absolutely order their lightly deep fried shrimp and vegetable tempura dish to share. Up the ante on standard miso soup and try Gari's hamaguri - a fish broth with little neck clams and scallion. It's excellent. A standout appetizer, these crab dumplings are worth an order for the table. Gari's signature. This is the reason why you're coming here. The chef's daily selection of fresh, seasonal, sushi and sashimi. Don't even think about being a wuss and ordering sushi by the piece. It'll wind up being more expensive and nowhere near as amazing, we promise. The omakase is money well spent, and you'll be thinking about it for days to come. Although the rotation changes everyday, here are some of our favorite preparations we've seen more than once: Salmon with Broiled Tomato, Tuna with Tofu, Red Snapper with Salad, and, our favorite, Yellowtail with jalapeño.